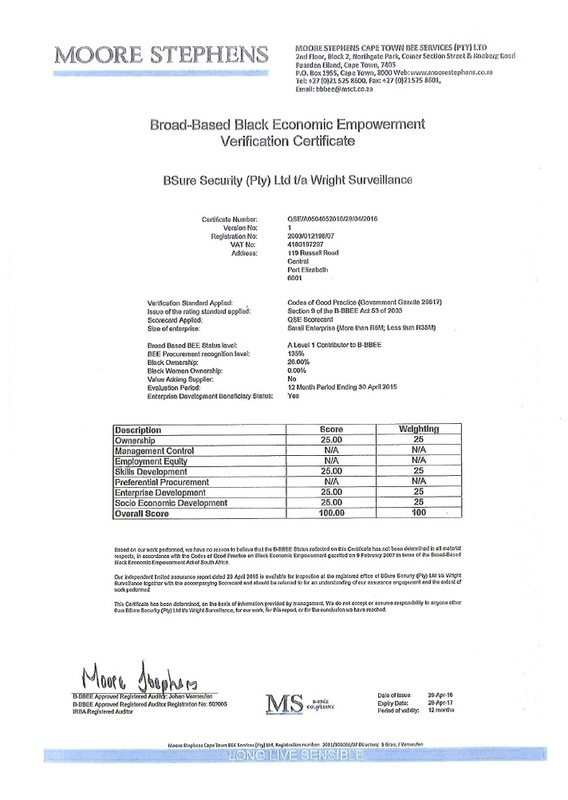 Wright Surveillance is an Accredited Level 1 BBEEE company, and is empowered by both shareholding and top management. We are a Value Added Supplier, so our clients are able to claim 168% of the value spend with us as BEE procurement. 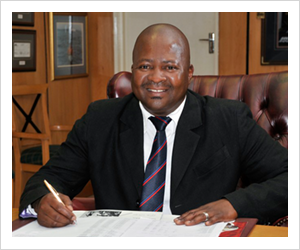 After our original chairman, GT Boltina, passed away, Pasco Dyani acquired a 26% share in the business and joined the company as the new Chairman. Pasco’s focus is on marketing the company to new clientele, as well as retaining the current business relationship with existing clients. Wright Surveillance has an equity plan in place and have also enrolled workers in learnership programs.